Blue Sky BuildersSkywriters Garage BlogBlue Sky BuildersIs It Time to Replace Your Garage Door Opener? 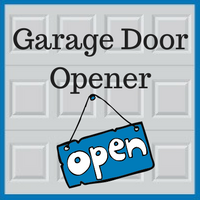 Chain drives – This type of garage door opener uses a motor that moves a chain attached to a trolley, which in turn is attached to a metal bar called a J-arm that is connected to the garage door. These types of garage door openers provide reliable operation at a good price, but they can be noisy, so they may not be the best option if your garage is adjacent to your living area. Belt drives – This type of garage door opener functions the same as a chain drive, but it uses a reinforced belt rather than a chain. While they can be quieter than chain drives, belt drives are typically more expensive. Screw drives – This type of garage door opener uses a motor to turn a threaded metal rod to move the garage door. Screw drives open and close a garage door quickly, but they can be noisier than belt drives, and they sometimes run into trouble in areas that experience large temperature variations throughout the year (such as the Chicago area). Direct drives – This type of garage door opener uses a motor that is directly attached to the J-arm, with the motor itself moving along a track to open or close the garage door. Since they have fewer moving parts, direct drives are some of the quietest garage door openers, and they typically cost about the same as belt drives. Jackshaft openers – This type of garage door opener is mounted on the wall next to the garage door, and it uses a motor that directly turns the torsion bar to open and close the door. Jackshafts are more expensive than other systems, but they are typically very quiet, and they provide a good solution for garages with ceilings that are higher or lower than normal, in which a standard ceiling-mounted garage door opener may not be an option. MyQ® – With the use of a smartphone app, you can control your garage door and your garage’s lighting remotely, and you can also receive notifications about the status of your garage’s systems. Security+ 2.0™ – This technology ensures that the signal sent to your garage door opener will never be hacked by updating the code sent to the opener every time the door opens or closes. 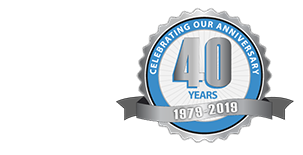 If you are considering a new garage door opener, the team of experts at Blue Sky Builders can let you know about your options and provide you with the ideal solution for your home. Contact us at 630-852-8485.